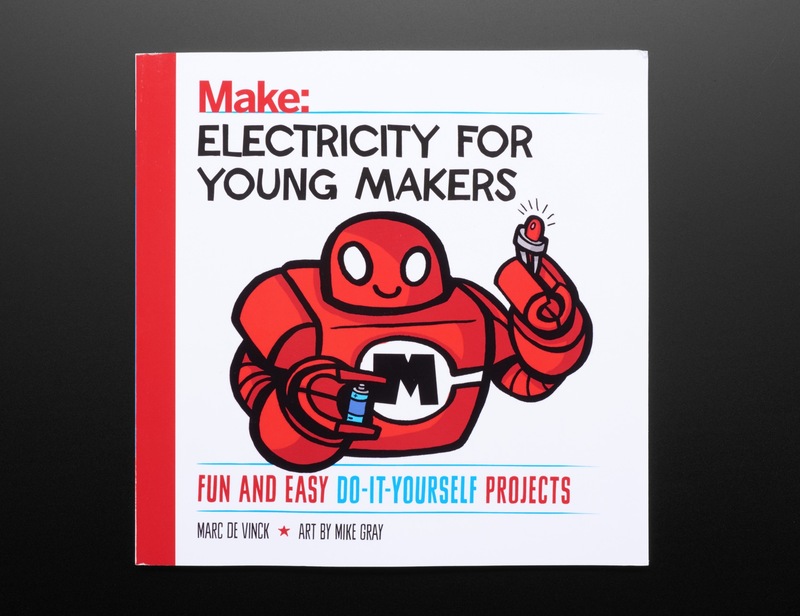 NEW PRODUCT – Electricity for Young Makers: Fun & Easy Do-It-Yourself Projects – by Marc de Vinck « Adafruit Industries – Makers, hackers, artists, designers and engineers! Have fun exploring the world of electricity! With a few essential materials – including an LED, batteries, copper wire, and magnets – you can make every project in this book. 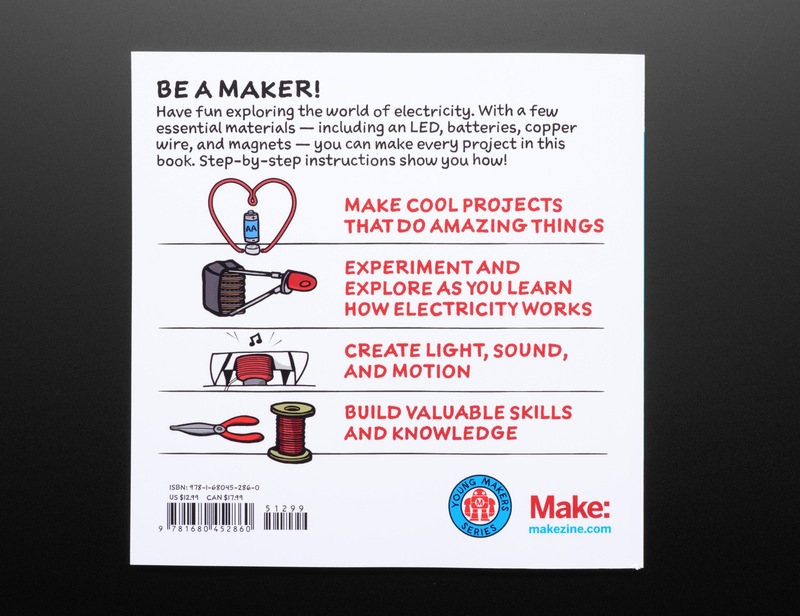 Step-by-step instruction will show you how in Electricity for Young Makers: Fun & Easy Do-It-Yourself Projects! Learning to be a maker has never been more fun. 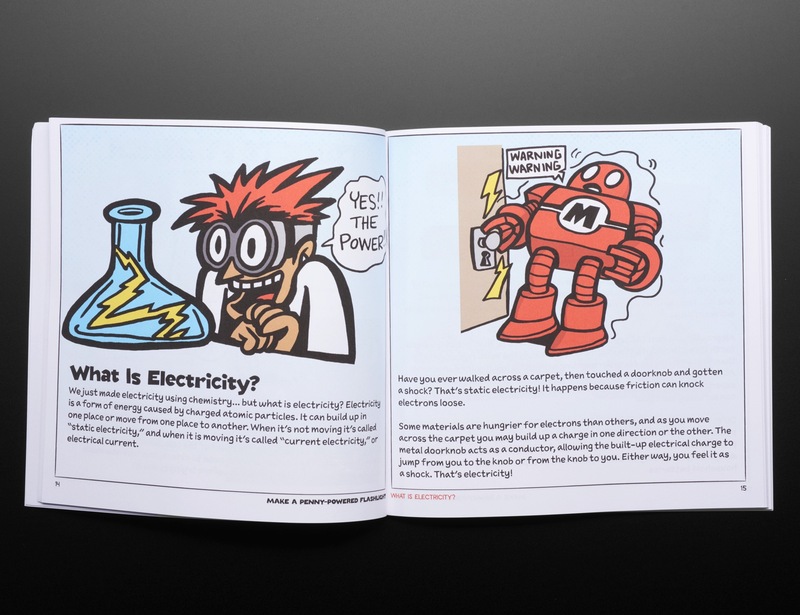 Lavishly illustrated with cartoons and drawings, this book guides the reader through six hands-on projects using electricity. Discover the electrical potential lurking in a stack of pennies – enough to light up an LED or power a calculator! Launch a flying LED copter into the air. Make a speaker that plays music from an index card. Build working motors from a battery, a magnet, and some copper wire. Have fun while learning about and exploring the world of electricity. The projects in this book illuminate such concepts as electric circuits, electromagnetism, electroluminescence, the Lorentz force and more. You’ll be amazed by the results you get with a handful of simple materials. Author Marc de Vinck is a professor in the Master of Engineering in Technical Entrepreneurship Program at Lehigh University. He was previously the director of product development at MAKE magazine and a member of the MAKE Technical Advisory board. He has written numerous posts on do-it-yourself science and technology on makezine.com, as well as articles and featured builds in the print version of MAKE.